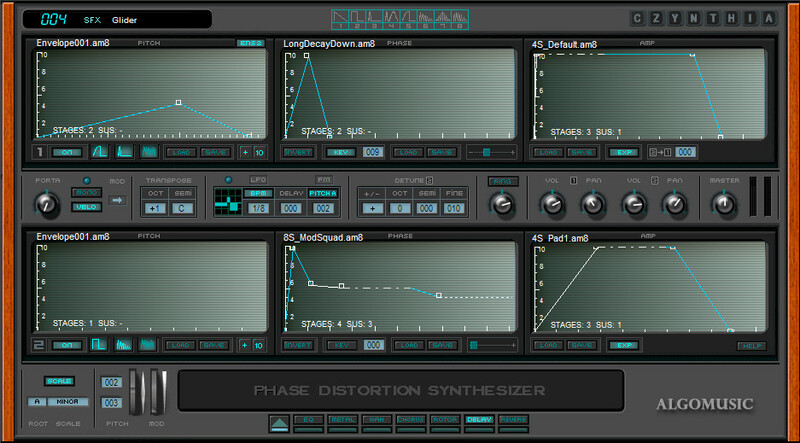 AlgoMusic has announced the release of CZynthia, a dual phase distortion virtual synthesizer for Windows. Note: While this VSTi is inspired by the original Casio CZ series of synthesizers produced in the 1980’s, it does not seek to emulate it. Two Phase Distortion Oscillator sections each offering two sets of 8 waveforms. Three 8 stage envelopes each synth for control of pitch, phase and amplitude. LFO (BPM synced or free running) offering 22 waveforms, rate and delay with pitch and phase destinations. Ring modulation, detune and transpose controls. Volume and panorama controls for stereo imaging and master volume. Scale generator for force scaling of notes. Choice of 8 scales with root key selection. 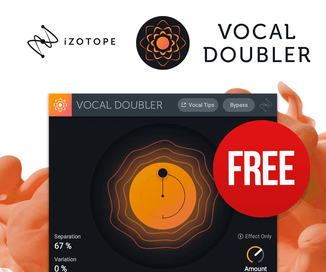 Powerful multi FX section offering 7 simultaneous stereo effects: EQ, Rotor, Metal, Wah, Delay, Chorus, Reverb. CZynthia is available as a VST instrument plug-in for Windows PC for $39.95 USD / 27.95 EUR.